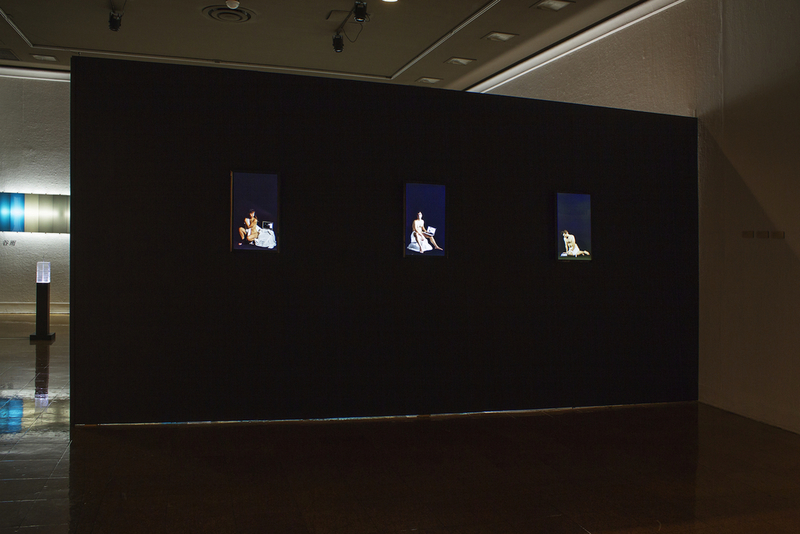 Spend Some Quiet Time with the Living Portraits! There's Still Time to see the Theseus Suite at the UAMA! The opening MFA Thesis reception has come and gone, and now is the perfect time to spend some time with the dual portraits on display. One of the most fascinating aspects the works have is the ability to hold a viewer's attention for more than thirty seconds. As the opening reception carried on, I was surprised at just how much time one would spend studying the portraits, discovering the subtle movements of the figures, or watching the breathing-like movements of the scrolling facebook profile. I'm glad the the portraits received so much exposure from the reception, but the environment where the works resonate is in the quiet space of an empty gallery; where they are alive, and waiting for someone to connect with. View of selected video portraits.